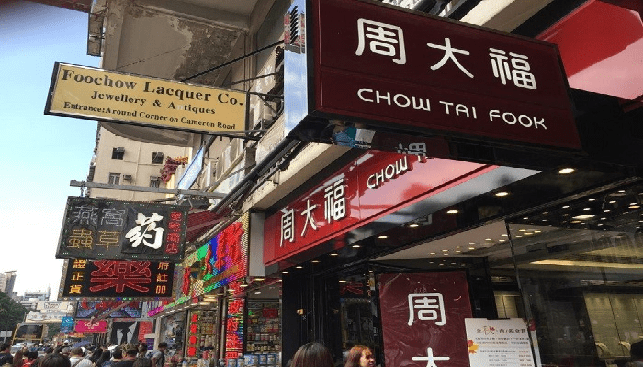 Hong Kong based jeweller Chow Tai Fook made HK$29.7 billion ($3.8 billion) in revenue in the first half of fiscal 2019 (six months ended September 30), according to Gem Konnect. That represents a 20% increase year-on-year. The jeweller said that the increase is attributed to “stabilising consumer demand and reviving visitor traffic from mainland China”. The company said that “steady economic recovery and improving consumer sentiment” helped propel the jewelry retail business forward. Performance in Hong Kong and Macau “grew robustly” during the first half of fiscal 2019 “due to reviving local consumer consumption demand and recovering tourism from Mainland China”. As of September 2018, the group had 2,822 points of sale, 237 of which were opened during the period. Group Chairman Henry Cheng remarked that the company remains “optimistic about the mid-to long term prospects of the jewellery market, on the back of the continuing changes undergoing in Mainland China”.